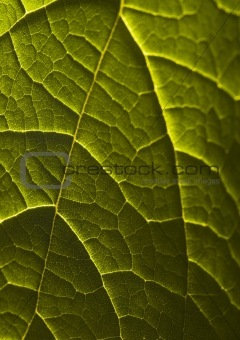 Image Description: In botany, a leaf is an above-ground plant organ specialized for photosynthesis. For this purpose, a leaf is typically flat (laminar) and thin, to expose the chloroplast containing cells (chlorenchyma tissue) to light over a broad area, and to allow light to penetrate fully into the tissues. Leaves can store food and water, and are modified in some plants for other purposes.